One of the signs of the evolution and maturation of a wine industry is the distinction within the country of unique wine-producing regions. The next step is further dividing those regions based on the unique microclimates and soil conditions, which impart particular characteristics to the wines. In British Columbia, the Okanagan was long considered to be a single region, with little consideration for the numerous microclimates existing throughout the valley. 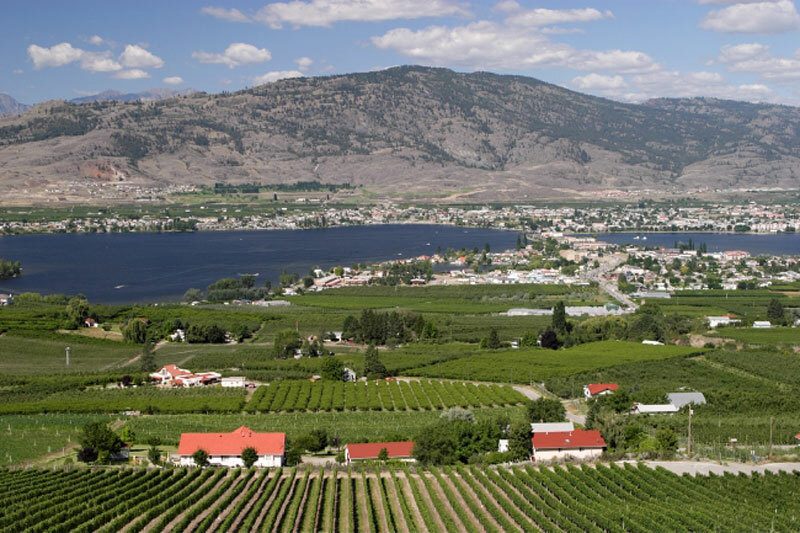 From Kelowna to Naramata to Osoyoos, conditions vary significantly, ultimately affecting which varietals are best suited to grow in which areas. Today, most people recognize the tremendous differences in climate and soil conditions and the effect on the style, character and flavour profile of the resulting wines. The more the wines can exhibit a unique commonality, the greater the chance that region has of emerging — and the wine-drinking public has of being able to taste the sense of place reflected in the glass. The evolution of the Okanagan’s wine industry is clearly evidenced by the emergence of the Similkameen Valley. Located 30 minutes west of Osoyoos in a near-desert, hot, dry and sunny valley, more than 600 acres of vineyards are now growing wines that are demanding the attention of Canadian wine lovers. At the recent Canadian Culinary Championships (CCC) in Kelowna, the best-of-show wine was awarded to the Similkameen’s Orofino Syrah 2009. I had the opportunity, at the CCC, to taste through numerous wines from the Similkameen wineries (more than I realized were being produced) and was impressed by the overall quality and potential shown in the wines from an area where over 40 per cent of the agriculture is farmed organically. The dry heat, combined with the long hours of sunlight and elevations of the region’s vineyards, allow for the production of a range of wines from delicate, aromatic whites to complex, age-worth reds. You may not have heard of them yet, but the wines of the Similkameen Valley will not be unheard of for much longer. A blend of Merlot, Cabernet Sauvignon and Cabernet Franc. Aromas and flavours of blackcurrants, black cherries and plums with a hint of chocolate; grippy tannins, rich texture and a pleasant freshness. Loads of ripe berry aromas and flavours, with hints of spice and vanilla; lots of licorice, silky tannins and great balance. Aromas of meat with gamey notes; lots of dark wild-berry fruit with hints of pepper and dark chocolate, big tannin and full finish. Intriguing and distinct. Will benefit from a couple of more years in the bottle. Clean and refreshing, with loads of crunchy apple, grapefruit and lime flavours, a pleasant minerality and a mouth-watering tangy finish. Great with poached halibut with a mango and lime salsa. A blend of Merlot, Cabernet Sauvignon, Cabernet Franc and Petit Verdot showing very ripe fruit, sweet tannins, rich cassis, cherry, coffee and licorice with a long finish. Should develop nicely over the next 5 years. Full of fresh, ripe fruit; hints of mint, currant, coffee, plum and spicy oak flavours. Soft, approachable tannins with lots of fruit lingering on the mid-palate and a full, smooth finish. 60% Merlot, 35% Cab Sauv, and 5% Cab Franc; aged 17 months in French oak. Quite dark; bold and ripe with rich fruit aromas and hints of fresh herbs, firm tannins, great texture and a big, ripe finish. A nice balance between ripe, black fruit and fresh, savoury herbs. 50% Cabernet Sauvignon, 30% Merlot, 12% Petit Verdot and 8% Cabernet Franc. Fresh and bright with citrus, peach and apple flavours, nice full mouthfeel and quite a bit of ripeness on the finish. Quite drinkable and a nice summer patio wine. Dark fruit and herbal aromas with flavours of black cherry, currants and hints of pepper and chocolate; nice balance and character with a lingering, fresh finish. A very good value. Made with a blend of 5 different varieties of plums, this is a surprisingly tasty wine with loads of plum on the nose and concentrated and clean plum flavours; hints of citrus, strawberry and cranberry and a zippy, bright finish with good acidity. Aromas and flavours of plum, cherry, hints of earth and chocolate; a smooth texture, slightly dry tannins and a touch of fresh herbaceousness on the finish. Quite soft and approachable. Fresh and crisp; full and concentrated aromas and flavours of apricot, apples and pineapple with a rich, weighty texture, mouth-filling mid-palate and a clean finish that lingers. A nice match with oily fish and baked chicken. A delicious blend of 50% Merlot, 25% Cabernet Sauvignon and 25% Cabernet Franc showing big, bright plum, cherry and currant fruit; great concentration, rich, elegant tannins and a finish that lingers with hints of mocha and more ripe fruit. Drinking well now, but will continue to evolve over the next 5 to 8 years.